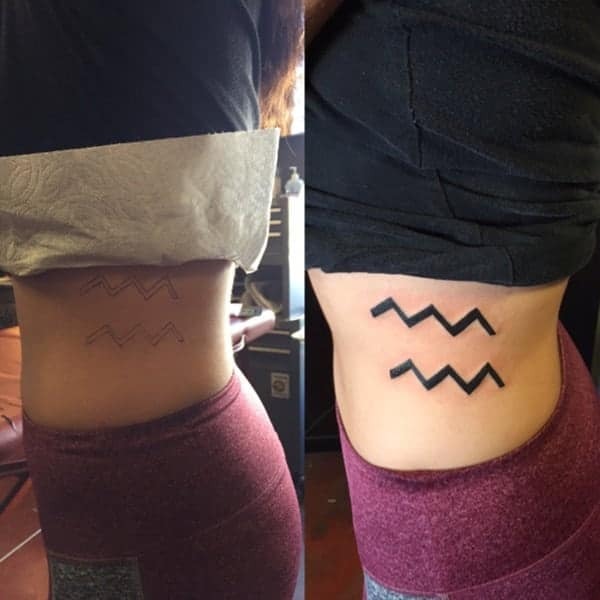 If you are looking for a new tattoo, then why not go for your astrological sign. 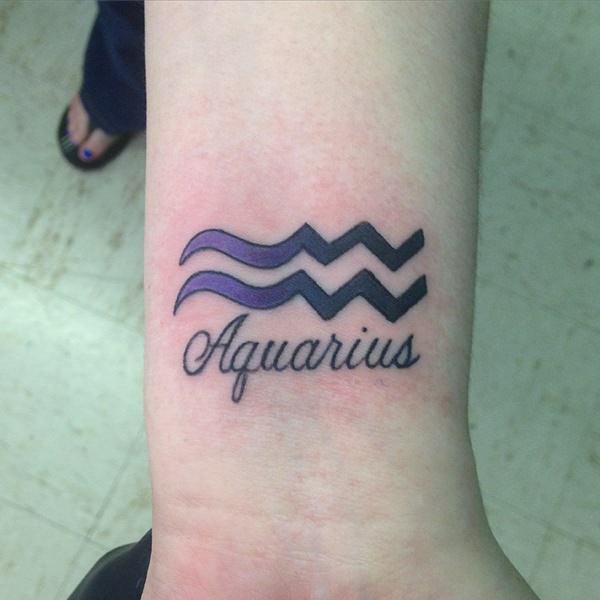 There is no better sign than the Aquarius sign and that makes for a great tattoo. 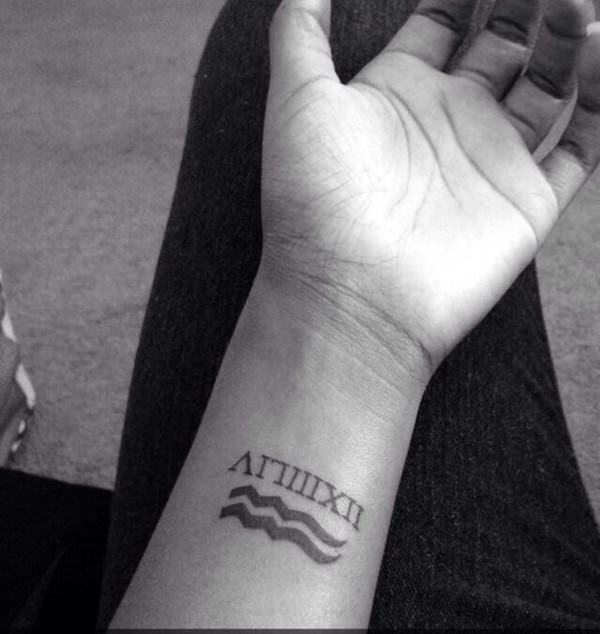 The Aquarius symbol is all about being original and funny all at once. How can you not love this tattoo? 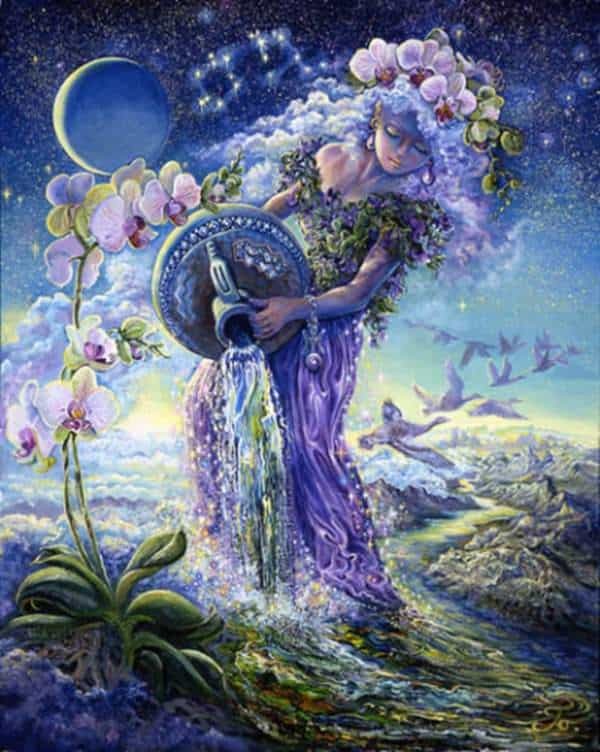 Aquarius owners are born between late January and early February, it’s connected to those that are ascendants, moons or cusps. If you are not aware of what being an Aquarius means, let us help you out with that. They are known to have incredibly intense intuition and that’s something that can come in handy to be sure. They also have a selfless nature which is an amazing quality to have. The background is associated with the 11th sign and it is represented by two zigzagging lines. Aquarius is associated with the air element. Though if you want to be technical they also use the waves and the wind in their output. If you want to represent your sign, then this is a great article for you to choose a great design with. 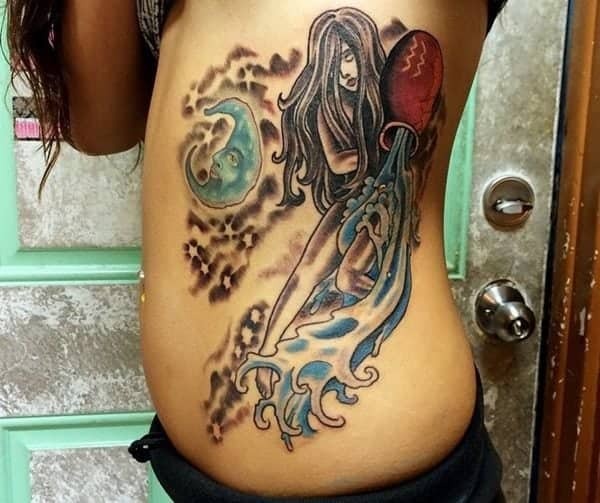 The water is fierce in this tattoo and you can see that there is a lot of strength to the design as well. If you want a tattoo that shows off the power you have then this is the tattoo for you. There is no color needed for this design. It’s beautiful. This is a very simple design that represents the waves, but we love the bright colors. This tattoo design is small enough that it can be placed anywhere. The arm seems to be the most popular place for these tattoos however and we happen to agree. 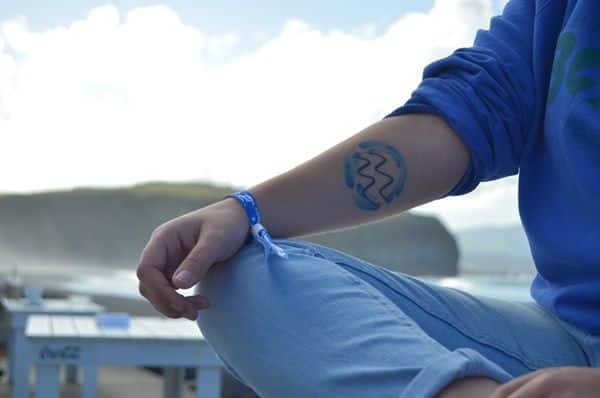 Another example of the wave tattoo but in a different position. We love the friendliness of this design. The waves aren’t in a fun shape and the blue makes it really stand out. From start to finish this tattoo is one that is very simple and wouldn’t take very long to finish. It can fit anywhere as well so you can keep it hidden if you want. These bold designs are representing waves. If you want a more low-key tattoo then this is the one for you. If you love looking at the stars then you are sure to love this design. 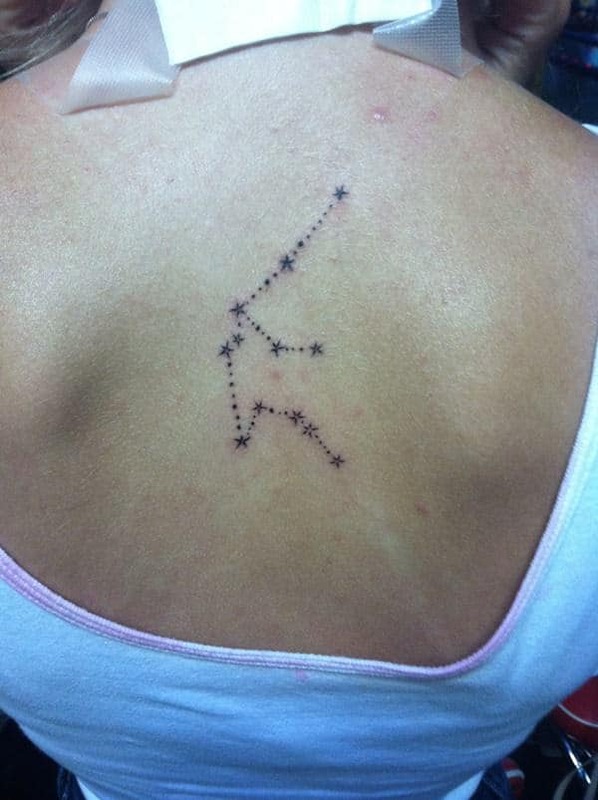 The constellation tattoo is always a popular one. This type of tattoo can fit anywhere. If you love the wave design then add some Greek letters to it to give it more meaning. 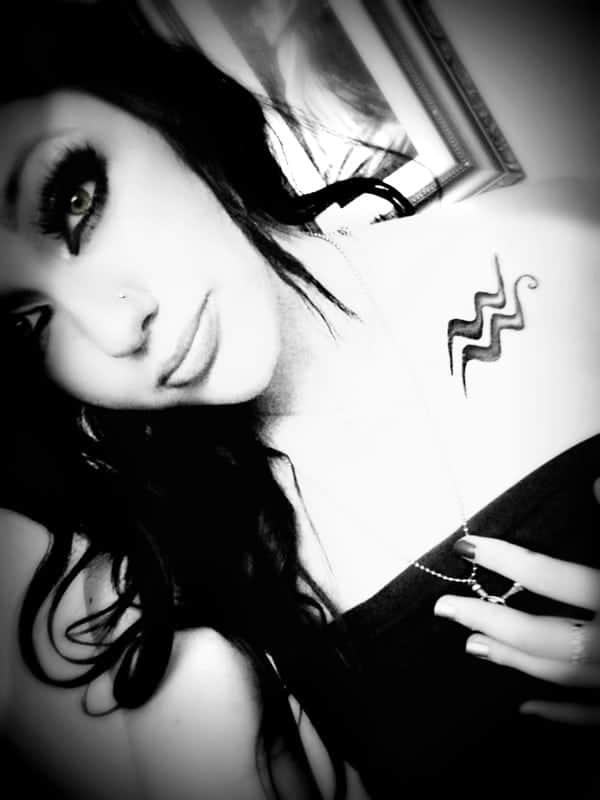 You can personalize your tattoo any way that you want to. This tattoo makes it look like a barcode tattoo so be careful with the strong lines. 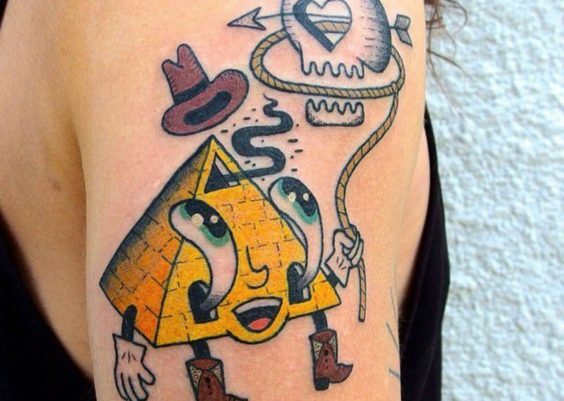 This is clearly a very popular tattoo and one that you are sure to love. The blue just takes us back to wanting to be in the water. It’s another example of the placement of this blue wave design. If you are looking for a subtle design then you are sure to love this simple yet sweet wave design. It’s just a couple of lines but it still makes an impression. If you want something simple then you will cherish this design always. It’s cool if you want to represent the Gods. 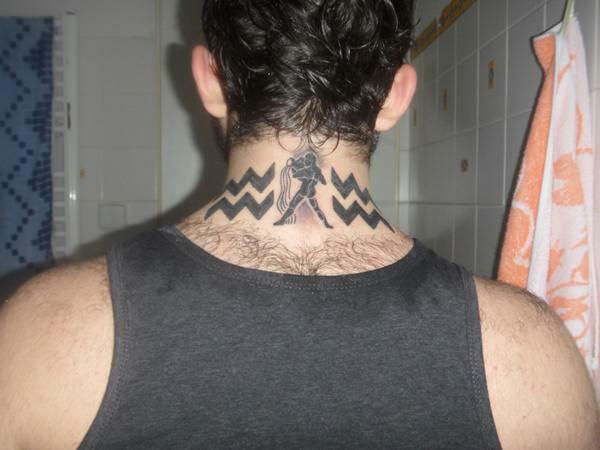 This is a great neck tattoo and one that will set you apart from the rest. The waves go on either side of the tattoo and it looks pretty cool from the back. If you are looking for a detailed and colorful tattoo then you might want to consider an image like this one. The colors are striking and would certainly catch the eye.The colors are deep and wondrous. Expect to have a big tattoo, however, this isn’t the kind of design that you can make a small tattoo with. It would make a unique back or shoulder tattoo design. You could even use it for a sleeve design as well. 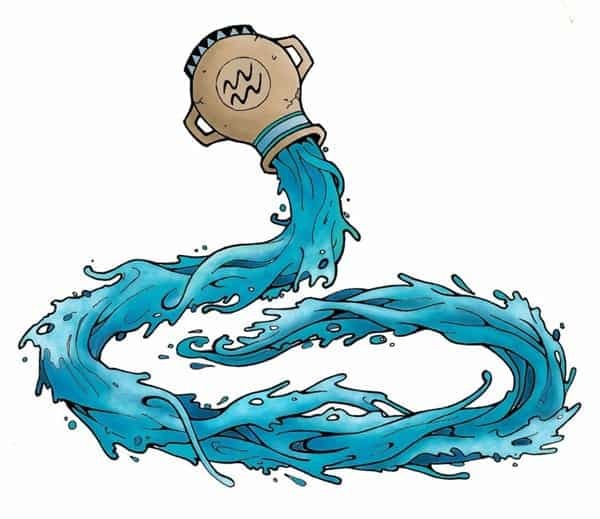 Images of water being poured are a common Aquarius tattoo idea. This one has a redheaded woman doing the task and she is looking straight on. 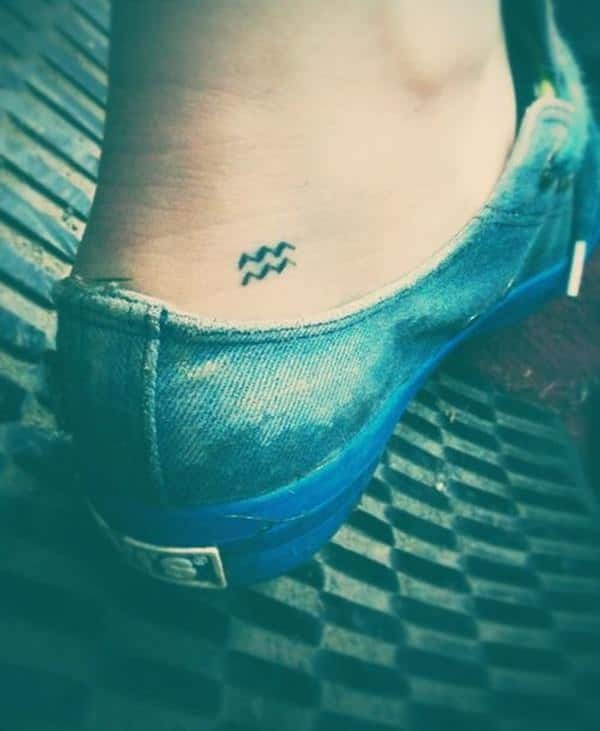 You don’t need a huge tattoo design to represent your Aquarius nature. It’s a simple design that can be placed anywhere, even on the foot as in this picture. 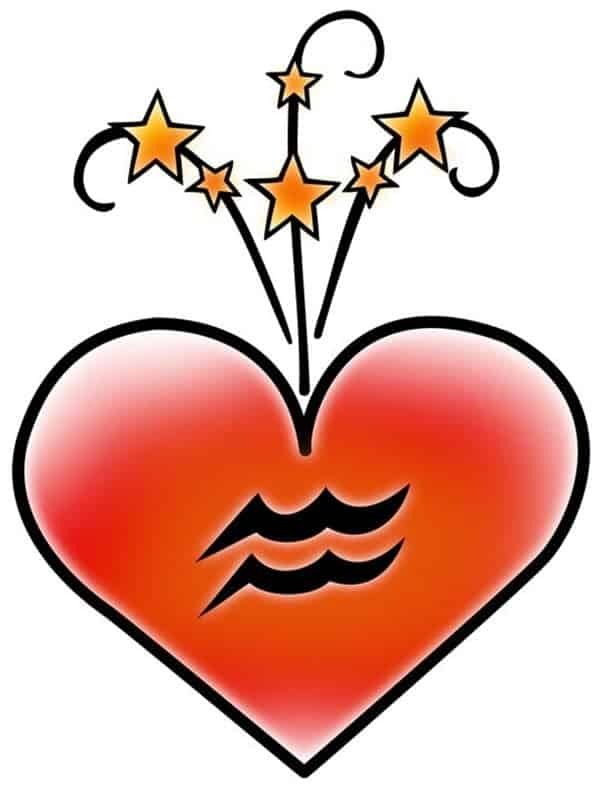 If you want to represent the Aquarius values but don’t want a large tattoo then this design is perfect for you. Waves are represented with love in this photo as they are inside the heart. It’s a great image and one that is simple yet bright. 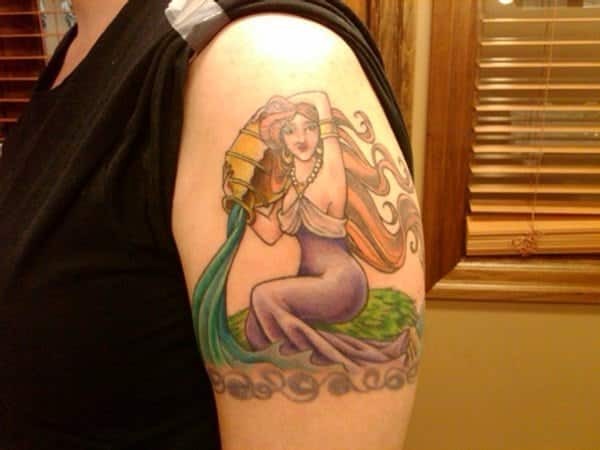 It has cartoon elements to it and it’s not the kind of tattoo that would have a lot of detail to it. 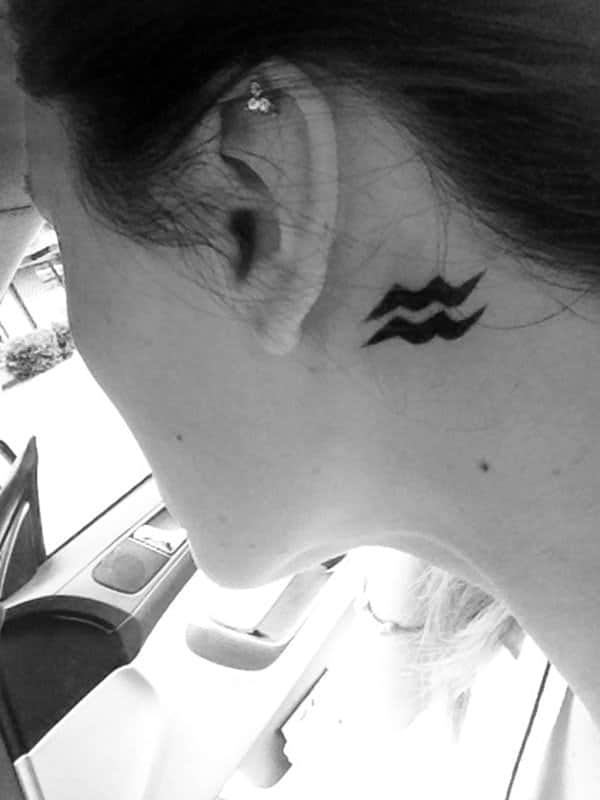 Waves seem to be pretty common as wave tattoos and this one is a dark zigzagged design. If you are looking for something simple then look no further than this one. This is a half and half design to give you the best of both worlds. 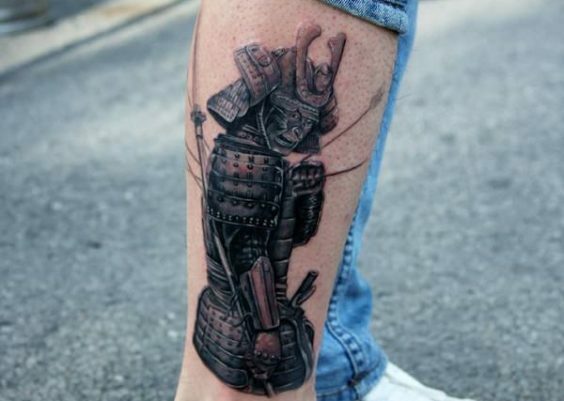 If you are a fan of the cartoon images then this is a great tattoo for you. It’s the pouring of endless water and we just love the bright blue. If you had an arm design you could really have the water pouring all the way down and around your arm. It would look pretty cool as a finished product. If you love the wave look but want something different then try out some red lines instead. Blue is always an eye-catching color, but that doesn’t mean that you can’t have waves in many different colors. If you are looking for a larger tattoo design, like a sleeve, then you are sure to love this design. It’s got great color and detail to it. If you love deep colors then this is the look for you. 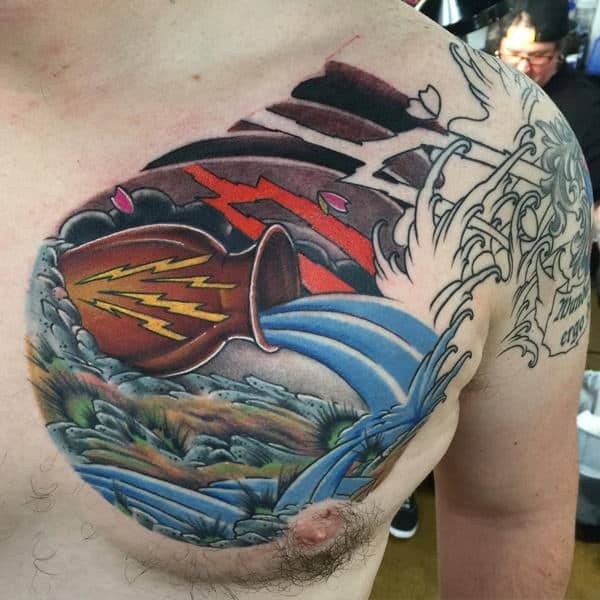 A great tattoo design that has the sun looking down at the pouring of the water. 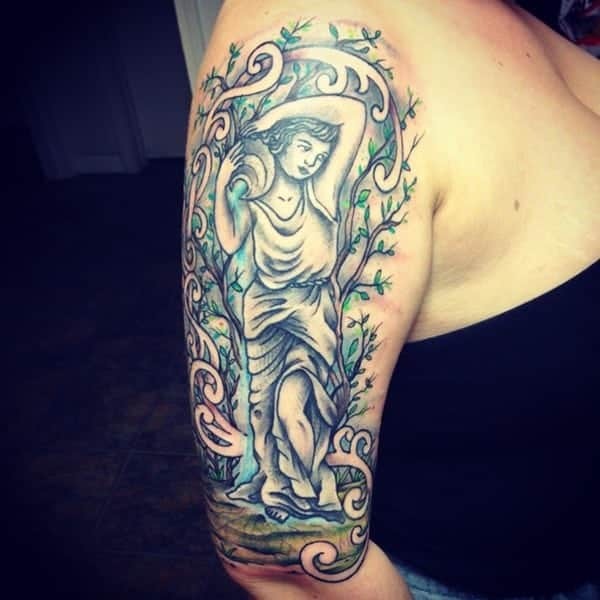 We love the blue that is involved with this tattoo. It is a large design but it has many great elements like the moon, the skull and the pouring of the water. 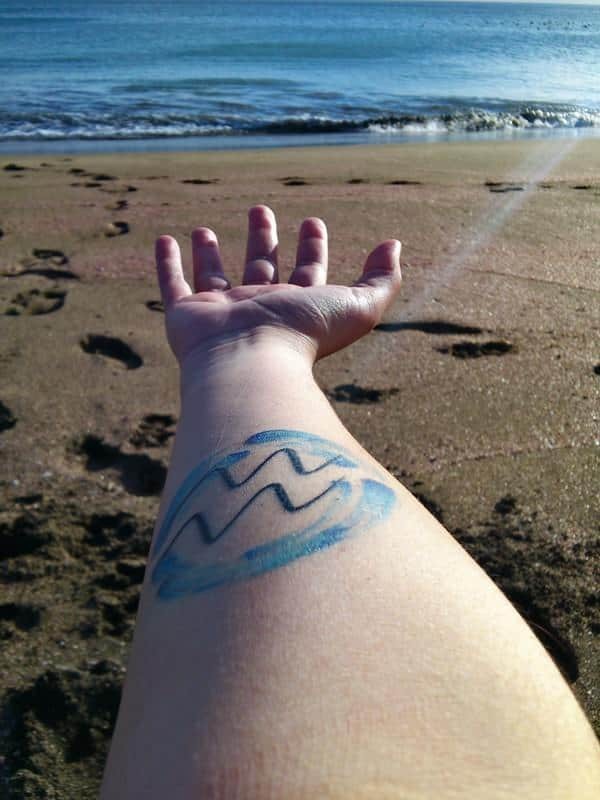 This great Aquarius tattoo is simple and the waves are a little more realistic. It’s the perfect tattoo for being the neck because it’s small and can be hidden if that’s what you want. 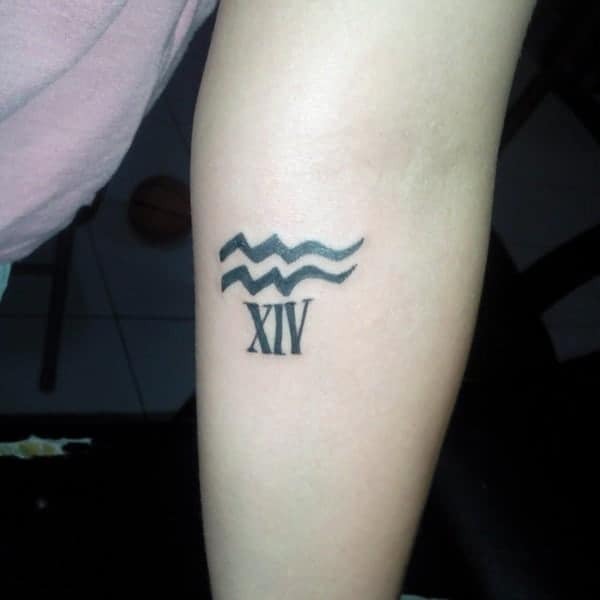 If you are looking for an Aquarius tattoo that you can keep hidden then this might be the tattoo for you. 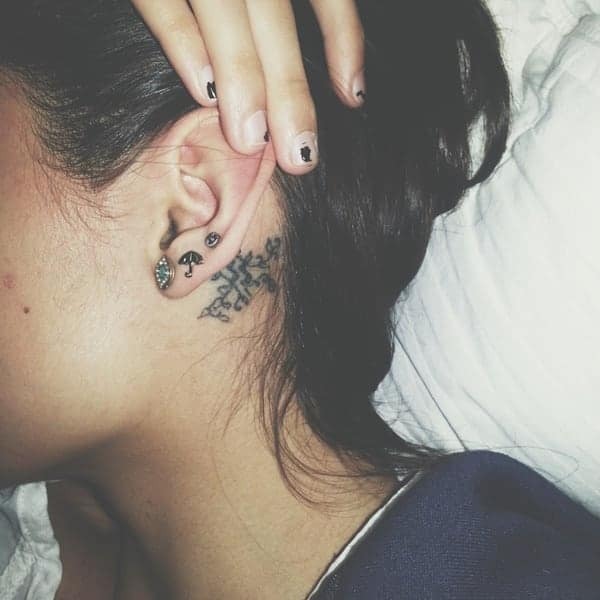 It’s a simple design and it fits nicely behind the ear. If you are looking for something creative then this is the tattoo for you. Simple waves seem to be the most common way of representing the Aquarius symbol. 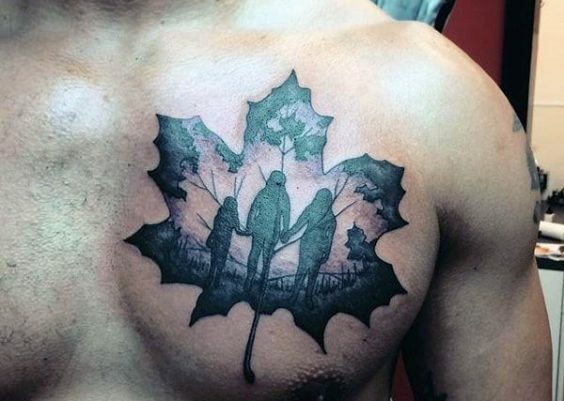 The location of the tattoo is perfect for this type of design. You have the option of showing it off or keeping it hidden. These waves are a little more different because they are further apart. She has them spaced out on her back and it creates a different image entirely. Decide for yourself the spacing of your waves to create a more original design. We like that it is spaced on the back like this because it’s unusual and a little more creative than the others that we have seen. 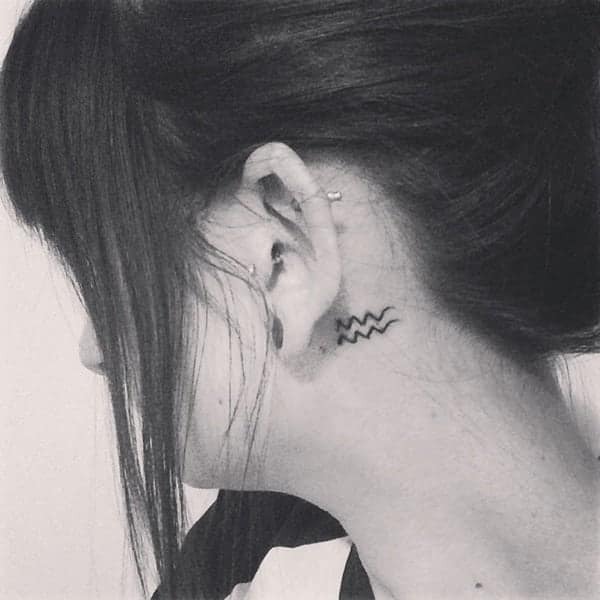 These waves make for a gorgeous Aquarius tattoo because of their design. There is more flow to this design and it is really elegant. You can create any type of wave that you choose, this one is a more feminine design. We love the whimsical nature of this design, it would be great for any girl that was looking for something different. 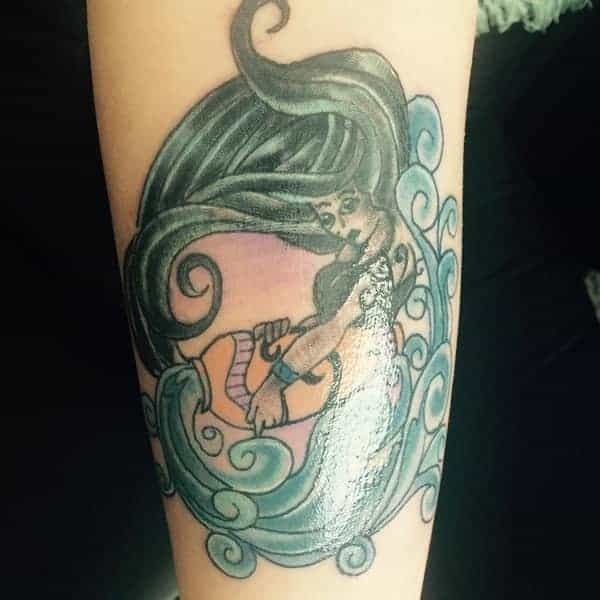 A naked woman in the waves, what more could you want from a tattoo. This cartoon design is actually pretty cute. We like the fact that she doesn’t seem to be fazed at all by all the water around her, she could actually be sleeping. If you are looking for a badass design then this is the one for you. It’s dark and fierce and really gets to the heart of the issue. We love all the dark colors involved with this tattoo, it’s truly one of a kind. 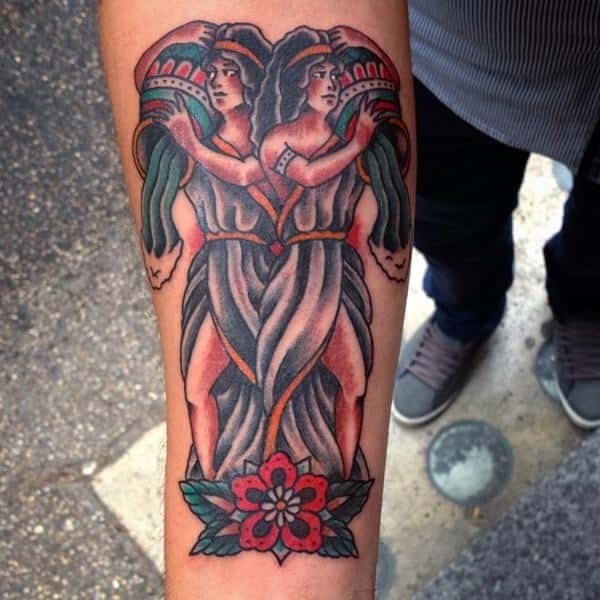 If you like the best of both worlds then you are sure to love this tattoo design. We also love the purple that is involved here. They have the word Aquarius right there to represent their love for the sign. A mermaid is always a great representation of water. 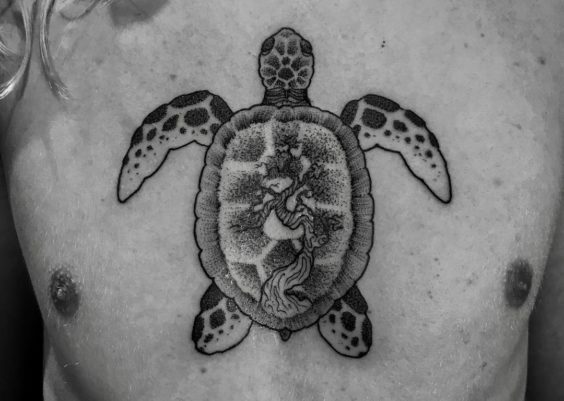 The Aquarius tattoo is often represented with mermaids. Plus, they make for some pretty cool designs. We just love mermaids because of their whimsical nature and they are one of the biggest symbols we have of the sea. We just love them! 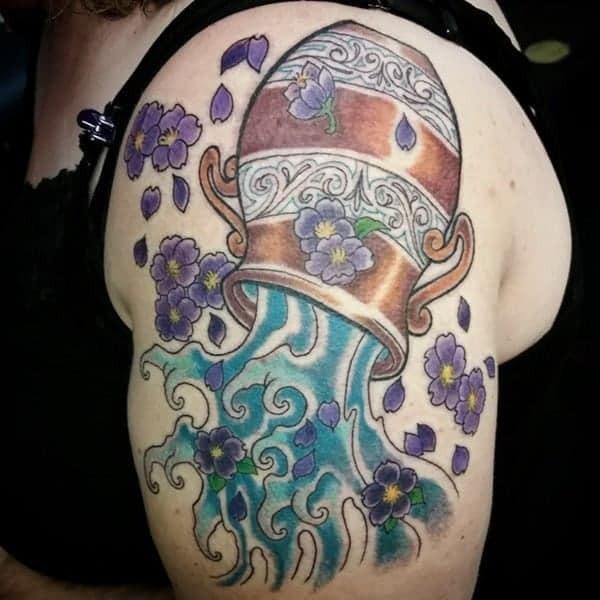 This tattoo design is made up of men who are doing the pouring. They are identical in the same tattoo. 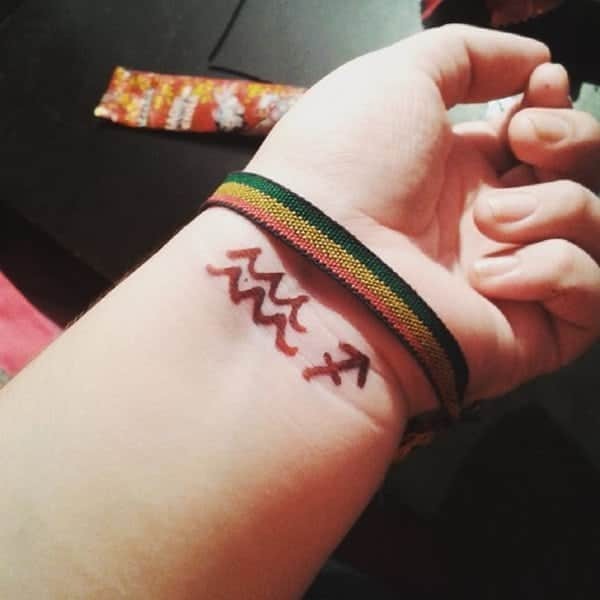 It’s a simple tattoo but one with a lot of character. The jug is being poured down this guy’s rib cage. It’s a great tattoo design that is very simple as well. 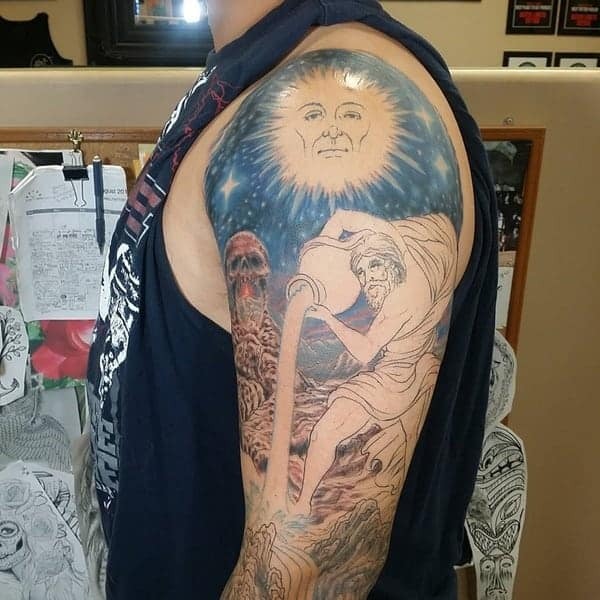 It’s a great tattoo that could be connected to other like this one is. There is a lot that can fit along the rib cage. A great tattoo design that has some bold and beautiful colors involved. 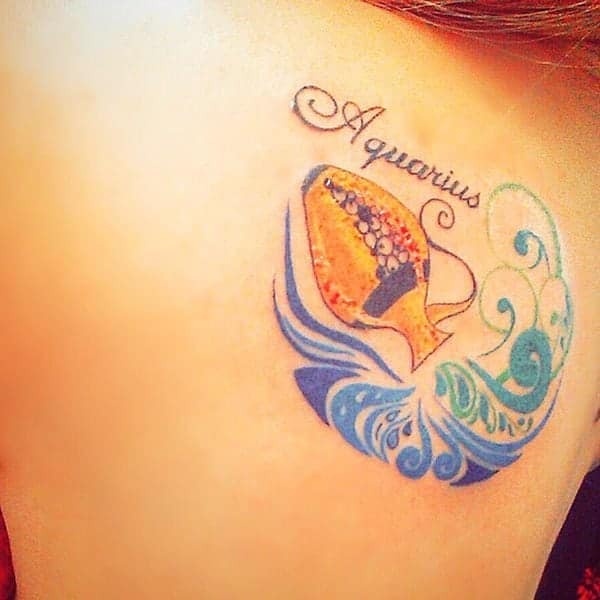 We love the bright orange that makes up the jug in this Aquarius tattoo. The bright colors are pretty awesome here if you are going to get any Aquarius tattoo these colors work well together. A simple tattoo design but one that makes an impact. There are also Greek letters involved with this tattoo design as well. If you want to make a statement then this is the tattoo for you. This serene moment makes for a stunning tattoo design. It’s simple but gives you the feeling of being in Zen. We love these tattoos because they look more like portraits than anything else. It’s a great tattoo and one that you are sure to love for a long time. This woman looks like she is in deep thought as she considers her jug of water. It’s a simple yet colorful design. 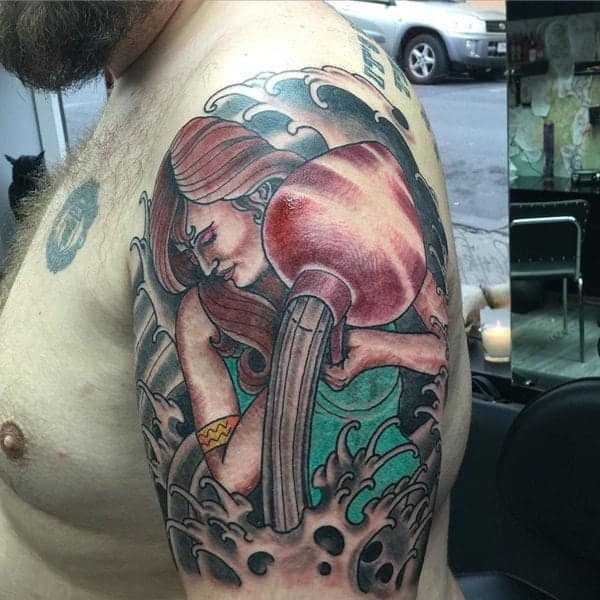 The colors in this tattoo are deep and so beautiful. The jug of water is also another popular Aquarius tattoo. We love the bright colors with this design. These waves are pouring out with some beautiful purple flowers. 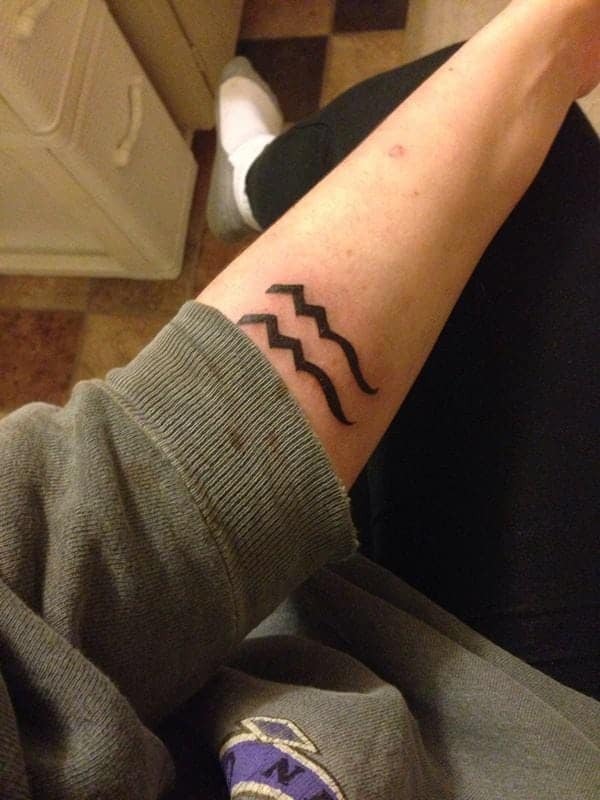 We can’t get enough of these beautiful Aquarius tattoos. You don’t get much more simpler than the silhouette tattoo. This design is unique and wonderful because of the simple design. It’s still a powerful image however and one that you are sure to love for a long time. And hey, it can’t hurt that there is a naked man also! Joking aside, it’s a pretty great design. This woman is emptying her jug of water under the moonlight. 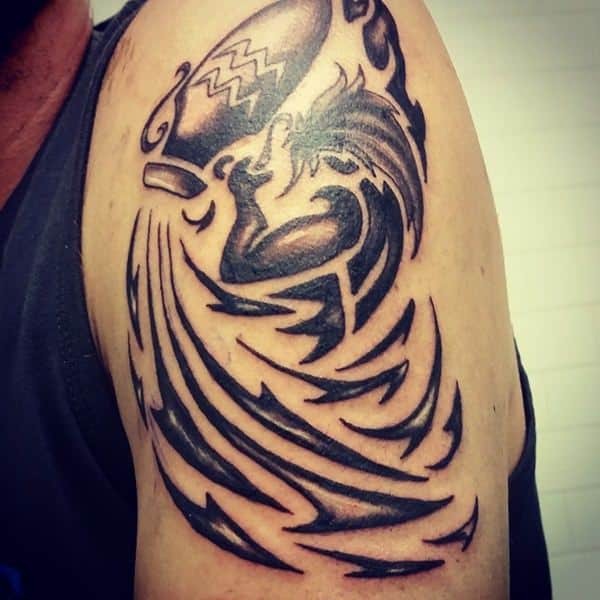 It’s a different depiction of the same Aquarius design and one that is very creative. We love the dark colors with this tattoo. 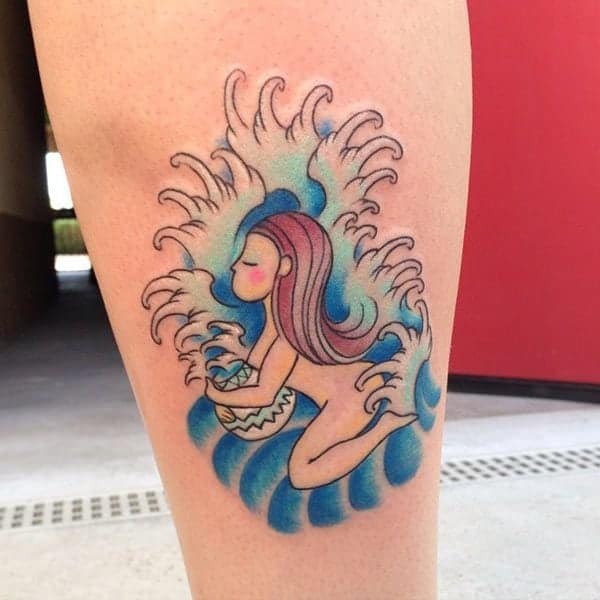 This tattoo is unique because of the waves within another design. 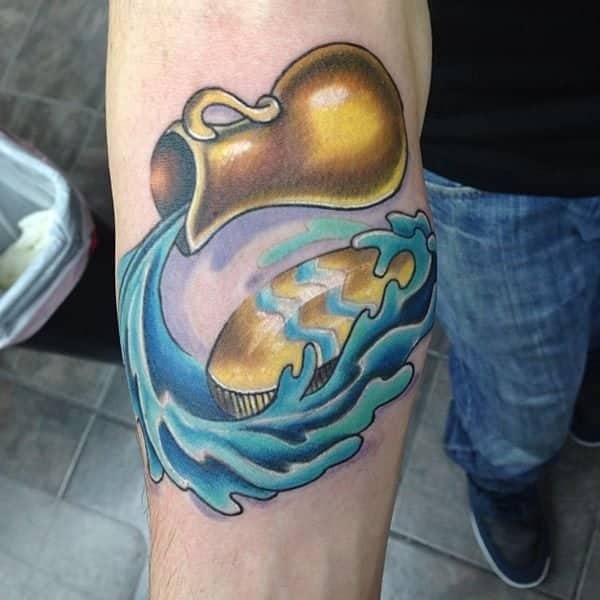 We have one design in the background while the waves are darkened to stick out in the forefront of the tattoo. 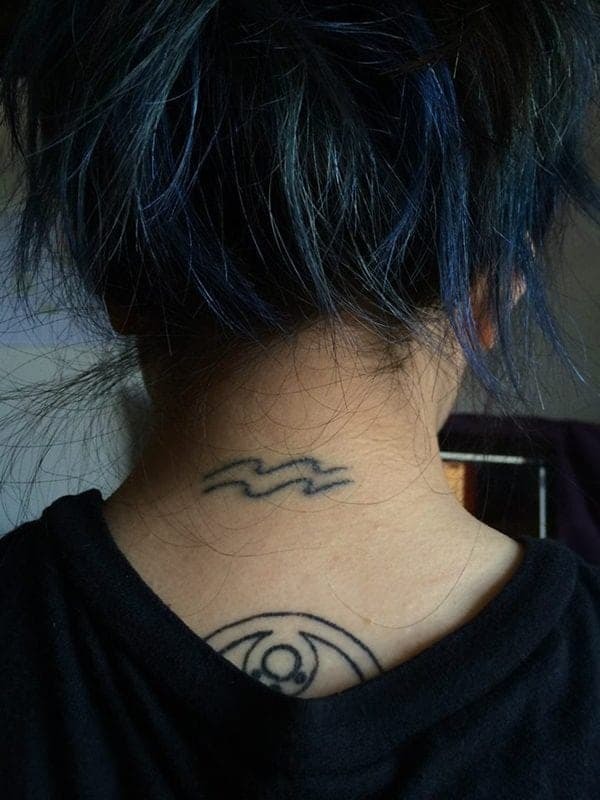 These tattoos are cool because it’s a hidden design in another one. it’s unique and a fun idea for a tattoo. 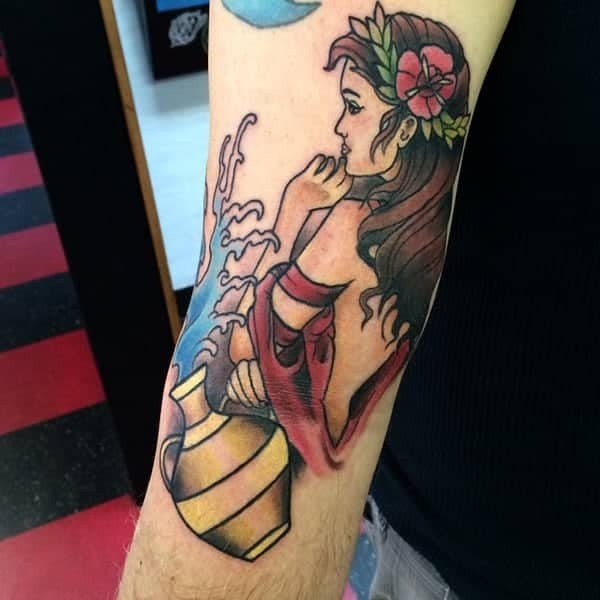 The jug in this tattoo design is very golden, it just jumps off the skin. We love all the colors associated her because they go well together. Gold and blue are always complimentary to each other, you can never go wrong with these choices. We especially like the shine that the jug has.